Andrea Vasquez, an emergency medical technician working for Empress Ambulance Service, Inc. ("Empress"), was subjected to on the job unwanted sexual overtures by another Empress employee, a dispatcher. Vasquez promptly complained of her co-worker’s conduct and was assured by supervisors that her complaint would be investigated. The supervisor asked her to put her complaint in writing, and she obliged, but while she was doing it, the dispatcher walked by and figured out what was going on. First he went to a male co-worker and asked the co-worker to lie for him. The co-worker refused. Then the dispatcher printed out a bunch of fake text messages indicating that Vasquez was coming on to him and turned his “evidence” into the supervisor. Empress credited the false documents manufactured by the dispatcher that purported to show Vasquez's eager agreement to a sexual relationship, but refused to consider further contradictory evidence from Vasquez. One of the messages displayed a “racy photo” that Vasquez supposedly sent the dispatcher, though the photo did not contain Vasquez’s face. In reliance on these doctored photos and text messages, Empress fired Vasquez. Vasquez subsequently filed suit in the Southern District of New York, alleging that Empress had retaliated against her in violation of Title VII and New York State Human Rights Law. The United States District Judge dismissed her case, holding that the retaliatory intent of Vasquez's co-worker, a low-level employee, could not be imputed to Empress and that Empress consequently could not have engaged in retaliation. However, last week the Second Court of Appeals based in NY overturned the dismissal finding that agency principles permit the retaliatory intent of Vasquez's co-worker to be imputed, as a result of Empress's shoddy and negligent harassment investigation. Jean de La Fontaine in 1679 authored a fable, entitled the “Monkey and the Cat”. 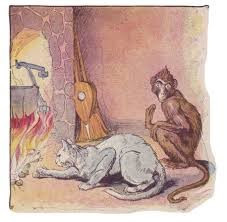 According to the fable, a mischievous monkey lured an unsuspecting cat to fetch chestnuts from a burning hearth under the guise that they will share the chestnuts. In the end the monkey stole the chestnuts, leaving the cat with nothing but burnt paws. In referencing the fable, the Second Circuit Panel stated, “The employer plays the credulous cat to the malevolent monkey and, in doing so, allows itself to get burned – i.e., successfully sued”. The Second Circuit held that an employer exposes itself to liability where it automatically credits one employee’s accusations over another, refuses to consider contrary evidence easily ascertained and does a shoddy investigation. Common Sense Counsel: Employers should beware of being too quick to believe an employee who accuses a co-worker of wrongdoing. If the accuser has an illegal motive (such as discrimination or retaliation) and if the employer is “negligent” in investigating before taking action against the co-worker, then the employer could be legally responsible and left with burnt paws. Tommy Eden is a partner working out of the Constangy, Brooks, Smith & Prophete, LLP offices in Opelika, AL and West Point, GA and a member of the ABA Section of Labor and Employment Law and serves on the Board of Directors for the East Alabama SHRM Chapter. Some quotes contained in the column were taken from a Constangy Blog Post by his law Partner Robin Shea. Tommy can be contacted at teden@constangy.com or 334-246-2901. Blog at www.alabamaatwork.com with link to full case.